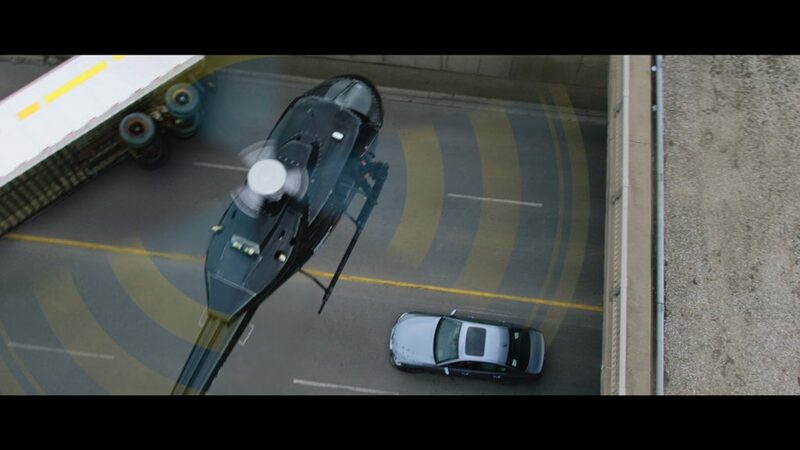 It’s likely that Citroen’s 2004 ‘Alive With Technology’ campaign will ring a bell. 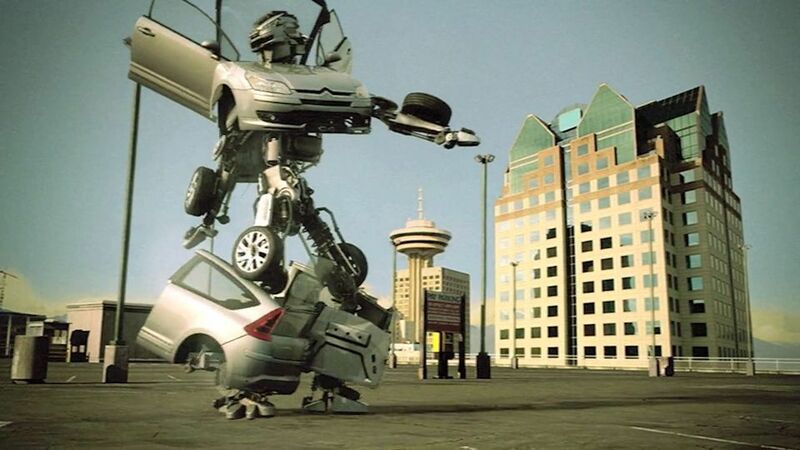 Directed by Oats Studios founder Neill Blomkamp, the short featured a Citroen that realistically remodelled itself into the form of a Transformers-like humanoid, before busting a move to Les Rythmes Digitales’ Jacques Your Body against a hazy sunset backdrop. The ad caught the attention of thousands even in the pre-viral age – and in the process put creative studio The Embassy on the map as one of the premier up-and-coming visual effects studios in Vancouver – just a short two years after it was founded. The Embassy has since gone from strength to strength. 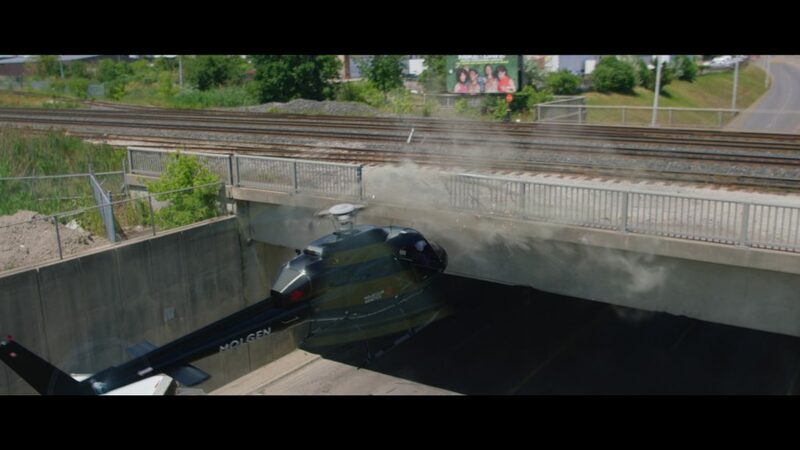 Its skill in photorealistic vehicle creation has led to contracts with the world’s largest automotive and transportation companies, but it has also resulted in VFX work on defining Hollywood franchises like Iron Man and sci-fi blockbusters from The Hunger Games to Neill Blomkamp’s Academy Award-nominated District 9. 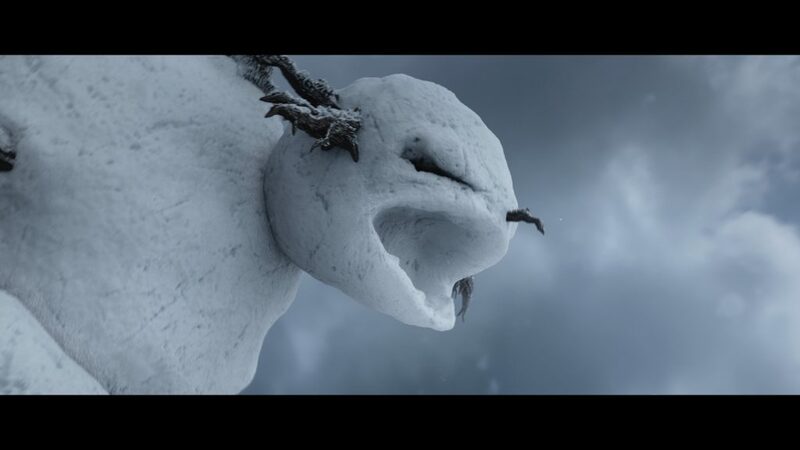 The team has also worked on explosive simulation effects in Elysium; avalanches of evil attacking snowmen for Nissan; and photorealistic jet liners for Cathay Pacific. The slate of projects continues to grow, and with it, so too does The Embassy’s embrace of web-based review and approval solution Frankie. With Frankie, Embassy VFX ensures its core creative skillset remains at ultra high-quality from project to project. “For us, Frankie is a paintbrush that we hand to clients, who otherwise might not express themselves visually,” begins Embassy VFX Supervisor Michael Blackbourn. As with any creative studio working today, Embassy operates in a landscape of total global production. Abstract ideas must be communicated across vast differences, with clients located in many of the world’s continents. By providing that “digital paintbrush”, Frankie ensures those ideas reach one shore to the next totally intact. “Frankie’s toolset enables us to really focus in on what our clients truly want, sketching ideas back and forth – that means less creative revisions and better work overall,” says Blackbourn. “Furthermore, as Frankie works as a web interface, we can collaborate over any distance, on most any device, with people of every level of technical know-how. It really does take projects over the finish line. 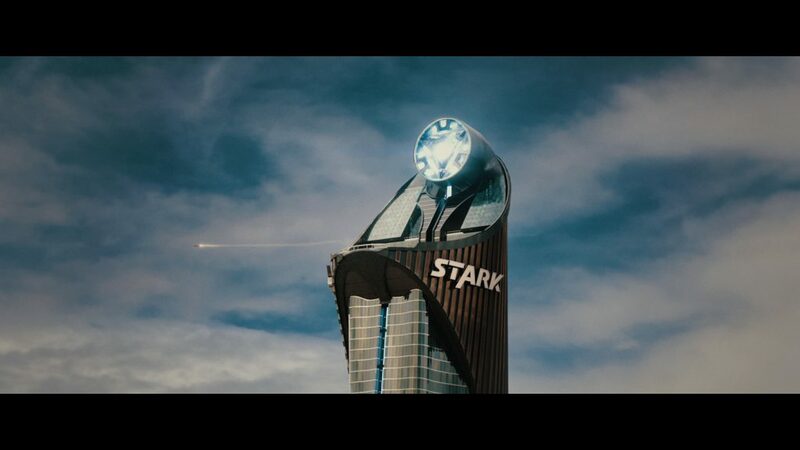 The Hong Kong Disneyland ‘Iron Man Experience’ spot sees Tony Stark launch from his skyscraper HQ, soaring across the city’s waterfront before landing in the park itself to meet and greet his fans. 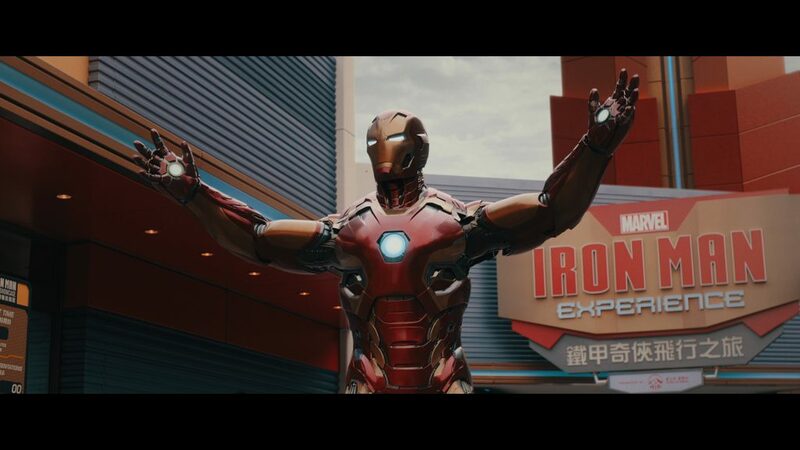 Given The Embassy’s work on the Iron Man films and its established photoreal hard surface pipeline, the team was confident it would deliver the armoured avenger with no problems at all. The main challenge was that of time. Blackbourn and team leaned on Frankie to ensure every available minute was spent as wisely as possible. 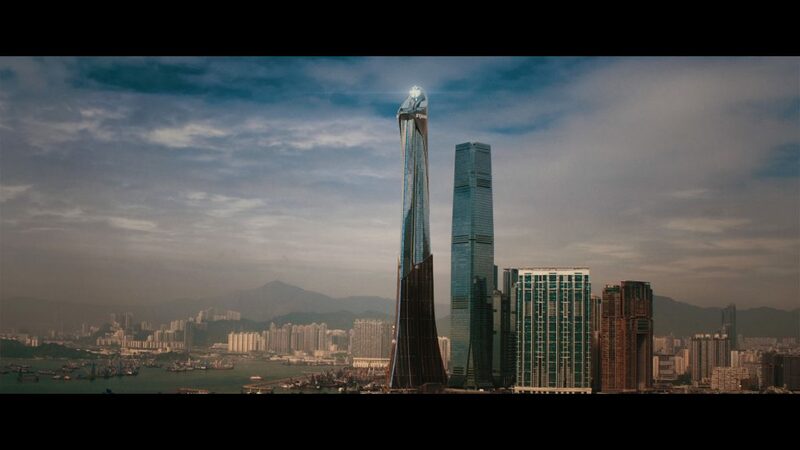 The Embassy artists needed to be particularly specific when establishing Iron Man’s flight path through the towering Hong Kong cityscape. Iron Man’s route was debated in-depth with clients, with Frankie used to draw potential paths for the hero directly on top of empty environment footage. Beyond Iron Man, The Embassy has used Frankie to create and collaborate on over a dozen projects over the last two years, cementing its capacity for global production. Indeed, approximately 95% of the studio’s projects are currently commissioned by remote clients. As such, with Frankie deeply embedded in its creative processes, The Embassy is prepared to tackle any project with any client in the world. It’s alive with creative technology.